G3 Girls | Leverage your BEST self from the INSIDE out! G3 Girls Leverage their BEST Selves! this transition into young adulthood? so that she can create the life she desires? G3 Girls offers girls the opportunity to learn why it is important to be who you are and why the world needs heart-centered leaders. Through a fun & interactive process, girls will identify their natural strengths, transform their attitude and create a personal plan to move forward with confidence, clarity and purpose! We create a dynamic experience that provides girls with the opportunity to explore and claim ownership of their skills, strengths and talents. We believe confidence propels young adults toward success: if you believe you can do it, you will! We foster a creative space for girls to create connections among their core values, skills, strengths, talents and passion. This clarity allows girls to build a new sense of who they are and becoming. We believe that confidence and clarity empowers girls to take a proactive approach toward creating their compelling career and life advantage. The secret power residing in all of us is our ability to love. What do you have a Big Love for? This is the magic key that can help you unlock the door to your brilliant, dazzling heart. What inspires you? Whatever you have a Big Love for is also your Super-Power because what you love makes you strong enough to to take action even when the going gets tough. Some kids love animals, or a certain animal. Some kids love photography. Some kids don’t have a big passion for any one thing, but have an original way of thinking about things or an ability to bring people together….but here is the real magic. When you put all of those Big Loves together you have a community of people with Super Powers that complement each other. The first step is to recognize our Big Love as a gift and then as you grow up, learn how your gift can fit into the community and eventually benefit others. Now here comes the hard part. What do you do if something comes between you and your Big Love… Or if you lose that thing that you loved so fiercely? As it often happens in life, with Big Love comes Big Loss. How do you deal with that—HEART-BREAK-UGH— and what makes Love worth the risk? We will play with this in written exercises, discussion, and games. Jennifer Grais is a singer-songwriter who wrote and recorded several c.d’s in Los Angeles. She is also the author of the teen fiction novel, “Christa’s Luck, The Story of a girl, her horse, and the last wild mustangs,” which is co-authored by her husband, Michael Grais. Jennifer and Michael currently live in Sonoma, where Jennifer also works as a healer, using her voice in sound healing and her background in shamanic healing to lead ceremonies. She loves working with kids and is designing a program now to introduce teens to the world of writing and spirituality, in order to help them embody a sense of purpose and personal power so they can thrive in this ever-changing world. Jennifer is perhaps best known for her laugh and wherever she goes she inspires lots of light-hearted fun and positive energy. A southern California girl and former competitive volleyball player, Lesley discovered yoga as a way to heal from sports injuries and as a side hobby to compliment her running habit while in graduate school. The physical and metal transformation that came from her consistent practice inspired her to deepen her knowledge and understanding of the ancient system of yoga and she has been an inspired student and teacher of this moving meditation for 15+ years. She finished her 200-hour Yoga Alliance teacher training in 2007 with Larry Schultz at It’s Yoga International in San Francisco and soon followed it with the It’s Yoga, Kids Certification Course. Lesley served as a yoga teacher at It’s Yoga, Kids upon completion of her certifications in 2007 and has been sharing her love of yoga with kids, families and teens ever since. Lesley also holds a BA from the University of Massachusetts and a MA from the University of San Francisco. Lesley has 9 years of experience teaching safe, fun and effective yoga classes to various ages in a variety of settings including schools, libraries, gyms, homes and workshops. Lesley has an obvious passion for sharing the endless benefits of a consistent yoga practice with kids, teens and families. She strongly believes that yoga can be an amazing foundation to build confidence and self-respect, discipline and awareness as well as kindness and acceptance. She strives to foster self -esteem by teaching positive habits for mind, body and spirit while providing simple and effective tools to deal with everyday stress. Lesley and her husband, Mike, are recent transplants to Sonoma from San Francisco with their children, Noah, 9 years old, and Luciana, 6 years old and recently celebrated their 10 year anniversary together. Nina Schultz has over a decade of experience as an education specialist and child advocate. She earned her undergraduate degree in Psychology and Communications from UC San Diego and a Master’s of Science in Occupational Therapy from Dominican University. Integrating her expertise in sensory integration and mindful practices, Nina developed and implemented a relevant outlook on the interconnectivity of the central nervous system, environmental stressors and reflective consciousness with empathy and gratitude as cornerstones. As a youth advocate and two-time cancer warrior, Nina brings a heart-centered approach to overcoming challenges with certainty, compassion, humor and grace. She believes in empowering others to take each obstacle, big or small, as an opportunity to grow and transform with each step of the way. Nina’s passion is providing mentorship and guidance to today’s youth as they become tomorrow’s leaders, thinkers and world changers. Piper Abodeely developed the e.n.g.a.g.e. your life! program after she graduated from college and felt the need for more clarity. The goal was to develop a dynamic program centered on gaining clarity and confidence through a six step interactive process. This workshop is not only an opportunity, but a stepping stone to claim ownership that will continue throughout one’s life. It is our hope, and more than that, our passion, to inspire and experience this growth and transformation in young adults. Michelle Dale is a passionate advocate in helping people integrate health and vitality in their personal and professional endeavors. Her professional experience ranges from corporate recruiting and training to the food and beverage industry. Expertise in sales, networking, management, hospitality and health/wellness has allowed Michelle to develop a proven holistic approach to the many demands women face in modern life. She is gifted at attracting cooperation and uncovering talent through teamwork. She has lived and studied extensively in France and Italy and has a degree in International Business. As a G3 Founder, Michelle utilizes her talents to support women in cultivating healthy and well balanced lifestyles. Michelle lives in Sonoma with her two daughters and their beloved dog and cat. She can be seen cruising around on her bicycle and enjoying the good life in beautiful Northern California wine country. I cannot thank the amazing women of G3 enough for a very empowering weekend for my 17 year old daughter. With two full days of powerful information from building confidence and positive body image to making good decisions and making new connections, my daughter came out of the conference with a new-found commitment to really embrace herself in a positive way and pass it along to others. In fact, she will take these skills to create her own series of “girl power” classes that she will teach to 5th graders at Flowery Elementary school for her Senior Project. Thank you again to the women of G3 for showing her the path. Thank you for giving Qing Chen the opportunity to attend the workshop last weekend. She was really happy that she went! She said she got a lot out of it and it helped her think differently about some things in her life as well as learn some strategies for dealing with stress. She is a very special girl and I am so thankful that she was able to access such a wonderful program. I also spoke with some of my other students who went and they were equally happy that they had an opportunity to be a part of such a great program. You have truly inspired these girls and I am so appreciative of your efforts. Your kindness and generosity really has made a difference for these girls. A jack-of-all-trades public relations professional with 25 years of experience in mission-based marketing, Lisa Lilenthal has a history of helping organizations elevate thoughts and ideas into brands. Consulting for nearly 20 years has given Lisa the chance to be entrepreneurial and to represent a diverse collection of clients, with one common thread: strategic communications programs built around a mission or the opportunity for advocacy. Her client base is built primarily around environment and sustainability, healthcare, and education. She has a boutique consultancy and a long track record of success working with top tier, national media. As a woman with a disability raising a child with Down syndrome, Lisa also works as an advocate and has served on the boards of the Down Syndrome Association of Orange County and Down Syndrome Pregnancy. 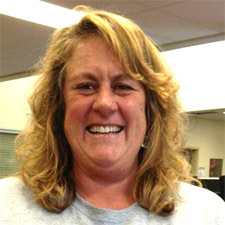 She is also the past chairman of the Community Advisory Committee for the Saddleback Valley Unified School District. Chelsea Cotton draws from a wide range of traditional and non-traditional learning experiences that have fostered her yearning for ancient ways of being to be remembered. With a BA in Women’s Studies & Ethnic Studies from Mills College. Chelsea has participated in international leadership development & service through Mother Teresa’s home for the destitute, the NGO Women in Action in Tanzania, and facilitated women’s healing circles in Greece. In addition,she has studied with a Shamanic healer for the past 14 years. Through this she has spent time with indigenous cultures and experienced wisdom transfer within these South American traditions. Chelsea now serves Shakti Rising and her community through her work as the NorCal Regional Director. Hello my name is Regina Powers. I am first generation Irish and originally from Boston, Massachusetts and now a happy California transplant. I have been a registered nurse since 1983 and completed a minor in Psychology. I then continued in the traditional medical model receiving my degree as a Family Nurse Practitioner from UCSF in1997. My advanced practice has been primarily in Family Practice/Integrative Health and Emergency Medicine. As I began my Integrative journey I started out as a Reiki Master before continuing on to discover many other healing modalities. I certified in Cranial Sacral therapy through the Upledger Institute, along with Touch for Health with Dr. John Thie, and then completed a 4-year training at The Barbra Brennan School of Healing as an Energy healing practitioner. Through my education and experience in western medicine I have a solid foundation to fully understand and safely integrate the best of traditional and integrative practices. I have a vast skill set and am able to uncover many aspects of the individual (Physical, mental, emotional, spiritual and ancestral), working with both children and adults. I do this with the intention of assisting to help bring individuals back into a state of balance. Each individual unique, and a blend of modalities are sometimes called for and I may also utilize flower essences and nutritional supplements to aid on your healing journey. I have a private practice in Sonoma, CA and work individually and with groups by way of Sol Journeys on the land. I look forward to making your acquaintance. Susie Cook’s past 10 years of personal mindfulness practice in the Shambhala Buddhist Tradition inspires her work as a mindfulness practitioner and teacher. She also offers workshops on mindfulness practices blended with positive methods specifically tailored for parents, teachers, administrators, and business managers. She sees social emotional learning throughout the lifespan as a key component to personal as well as institutional shifts. She has her Masters in Counseling Psychology and a Marriage & Family Therapist license in California. 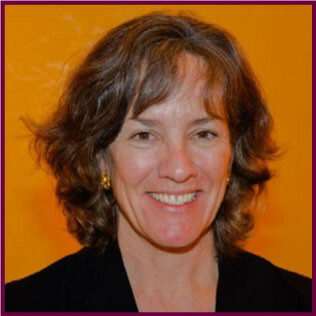 Since 2012, Susie has been actively involved with the Northern California Shambhala community and, currently, Susie is the Center Director of the Sonoma Shambhala Meditation Center. She lives in Sonoma California with her husband of 20 years and their two children. Susie joyfully spends most of her time mothering and has a passion for uncovering basic goodness in herself and others. Jenna Maze is a wife, mother, daughter and friend with a diverse background from an eclectic family. At a young age, she realized the importance of mentorship, relying on adults from every spectrum to lift her up and keep her moving in the right direction. As a licensed Cosmetologist for 9 years, she has developed incredible strength and insight with the women who surround her as clients, friends, and professional peers. Constantly seeking education for personal and professional development, her business in the beauty industry has evolved to an all-encompassing focus on internal health, mental and emotional fitness, and redefining what beauty means to us all. Laura Fraize’s journey in health and fitness first began in a small town where sports were life. Raised by a single mom, she was constantly shuttled from one practice to the next as a way to stay busy and out of trouble. At a young age, she was inspired by the coaches and teachers around her that promoted hard work and dedication as a way to honor your teammates and yourselves. Her love for movement and athletics helped her to navigate adolescence with a positive body image, praised for speed and strength rather than stats and size. It is a message she is trying to help her (2) daughters understand and practice now. Feed your soul with movement, music, passion, teamwork, community, and good things will happen inside and out! 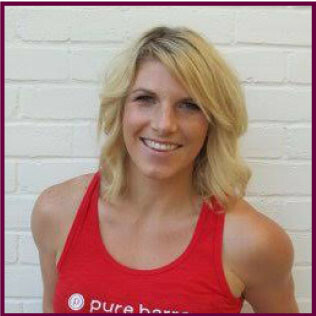 Currently Laura is a fitness instructor in her local community and is grateful for the opportunity to help people find their own strength and beauty with the time they have gifted themselves. Stephanie J. Armstrong is the Founder & Executive Director of Heart of Leadership, a San Diego based non-profit organization that helps young women develop their natural leadership abilities, navigate the pressures of our “achievement culture”, and work together to impact communities they care about. As a teen, Stephanie was an achiever, and her mission is to help liberate women and girls from the confines of perfectionism to live and lead with their whole hearts. www.heartofleadership.org. 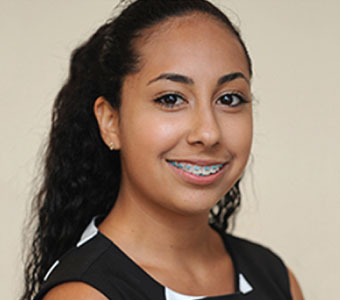 Maribel Campos is not only a driven community member and volunteer, but she also excels in her academics. At Sonoma Valley High School, she has managed to attain a weighted 3.7 grade point average. She participates in numerous clubs, such as AVID club, the Hispanic Honorary Society, Key Club, CSF lifetime member, FFA Club, and Link Crew and is the Boys & Girls Club California State Youth of the Year. She won first place as a reporter at an FFA public speaking competition, and is not only the first in her family to graduate high school, but also to attend college. Piper Abodeely developed the e.n.g.a.g.e. your life! program after she graduated from college and felt the need for more clarity. The goal was to develop a dynamic program centered on gaining clarity and confidence through a six step interactive process. This workshop is not only an opportunity, but a stepping stone to claim ownership that will continue throughout one’s life. It is our hope, and more than that, our passion, to inspire and experience this growth and transformation in young adults. Sponsor a girl to come to the G3 Girls conference! See our G3 Angels page to learn more!